Francis Alexander “Fritz” Miller, 103, of Palm Bay passed away on Wednesday, February 6, 2019. He moved here in 1949 from Washington, DC and retired in 1972 as the Chief Budget Officer at PAFB. He was a veteran of the US Army in WW II serving in Germany and France and was an active member for many years of the First United Methodist Church of Melbourne. Survivors include his daughters Patricia (R. Bradford, Jr.) Jones, Linda (Manuel) Zenick, Lynn Thompson, Bonnie Miller, Mary Miller, 8 grandchildren, 7 great-grandchildren and 2 great-great-grandchildren. He was predeceased by his wife, Edythe, of 56 years. 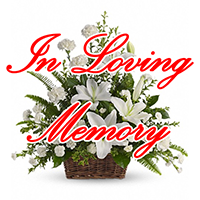 Calling hours will be Thursday, February 14 from 4pm-6pm at the Brownlie – Maxwell Funeral Home. Funeral services will be 10:30am Friday February 15 at the First United Methodist Church of Melbourne. Very sorry to hear about Fritz but what an amazing life! I have many fond memories of growing up on Norman Drive that I will never forget!